When it comes to home security, adding a deadbolt as a secondary lock for extra measure of security is very common. In addition to the added security a secondary lock will give to your home in general, a deadbolt is a great defense against forced entry. Having a deadbolt as a secondary protection to the traditional door lock protecting the front or back door of your home is becoming the standard for proper home security. If you own or leave in a home that does not have this extra security measure, we would seriously recommend looking into getting one installed. 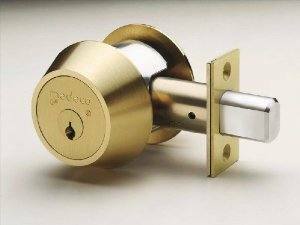 First lets take a look of what exactly is a deadbolt lock. In contrast to the traditional key-in-knob lock that can be found in most homes, the deadbolt’s locking mechanism is not spring loaded which makes it a security tool against forced entry. It cannot be picked or pried open easily like a spring loaded lock would. In general, it would help keep the property secure. A deadbolt lock was not invented in recent years but can be traced back 2 centuries ago where commercial properties such as banks used to have it in order to protect safes. Because of the success of a deadbolt to protect the safes in banks against burglars, it was then continued to develop into a variety of models that became available for both commercial and residential use. Although a deadbolt is not completely “bullet proof” lock that cannot be defeated, it did prove itself by increasing security to many residential properties. Combining with the traditional spring loaded lock, a deadbolt found to be a stalling tool against intruders that would easily give up breaking into a place who has double the security. For these reasons, the popularity of a deadbolt has grown over the years which allowed different lock manufacturers to develop different styles and added features to the deadbolt to keep it current with today’s technology. 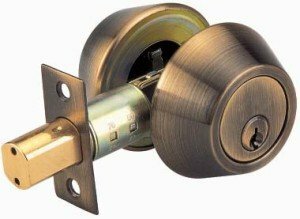 For more information about deadbolts and installation services, contact NorthWest Locksmith Spokane (509) 210-7017.